This weekend was another successful adventure.. Instead of exploring a city or heading to the beach for a day, I decided to do some exploring by hiking. Last weekend I visited the Santa Cruz beach again for a work held event and ended up meeting a new friend that also goes to Ohio State. It’s true when they say you can find a Buckeye anywhere. We however started talking and I found out he actually grew up in the California Bay Area. After talking about Ohio State a bit, I asked for his opinion on places I should visit while I’m in California. 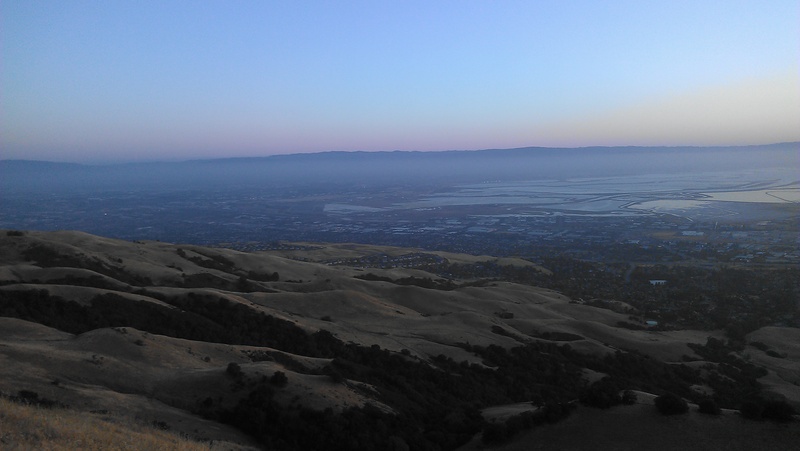 He stated there was a pretty good hike to the top of Mission Peak that a lot of people take. 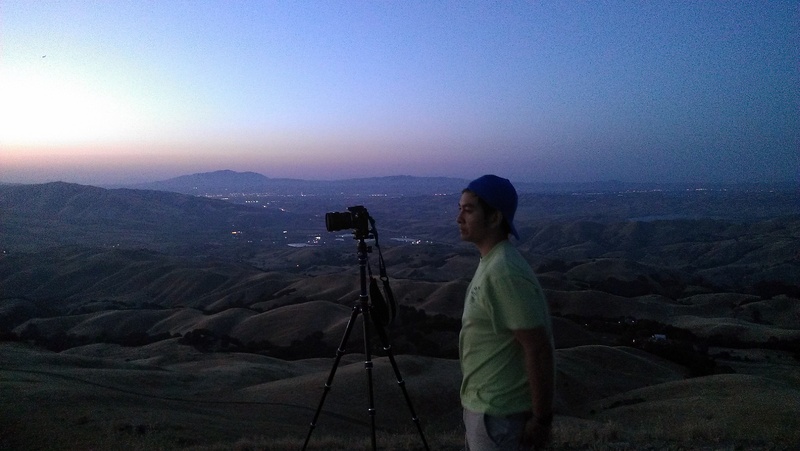 After finding out he had actually never done the hike before, I decided to set up a group to hike up the trail the following weekend to see what Mission Peak was all about. We ended up leaving at approximately 6pm on Saturday in hopes that we could reach the peak during sunset. After arriving at around 6:30, we proceeded to start the hike up. From the bottom, the peak is approximately 4 miles away with a 2100 foot elevation change. At the beginning, there wasn’t much to see other than a few cows wandering on the path. We however continued our way up in hopes of reaching a good scenic view point. 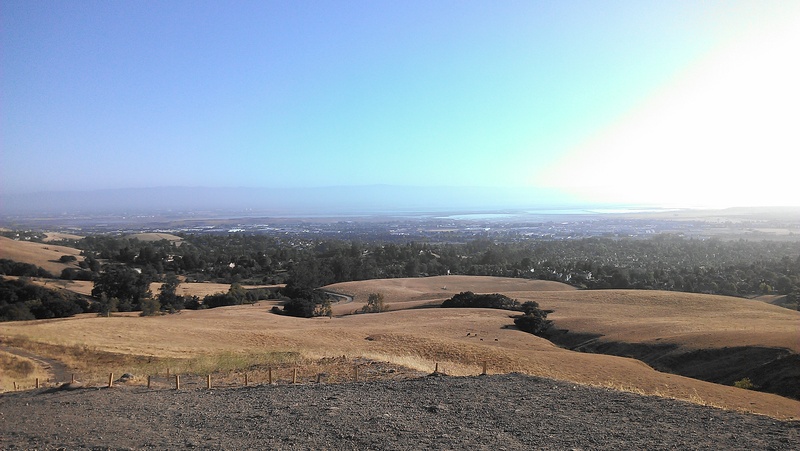 After hiking up about 1/4th of the way, I turned around and was able to slightly see out above the San Jose area. I told the others to turn around to take a look and we ended up stopping to take our first pictures. We continued up for another 20 minutes until we arrived at a small rest point that looks out over the path we just travelled. 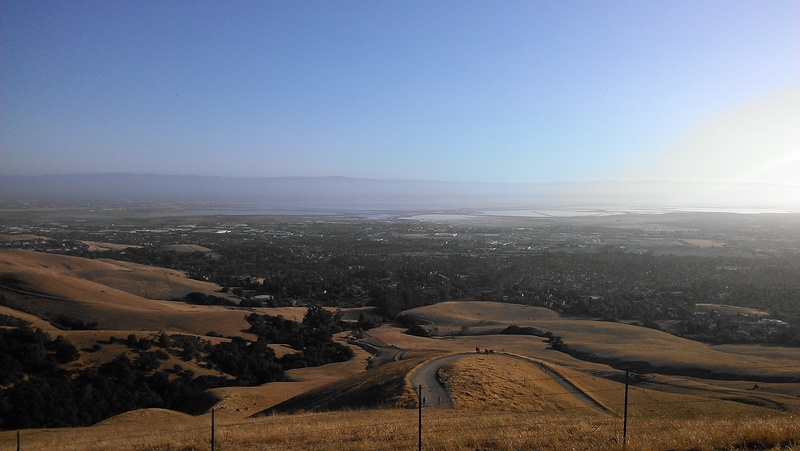 It was at this point you could really start seeing a large portion of the Bay Area. About halfway up, we reached a group of rocks that we found made a nice viewpoint. 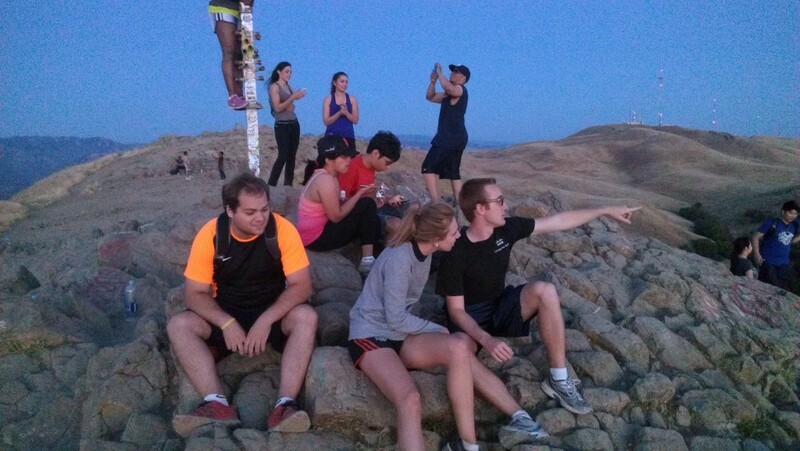 The team decided to take a seat on the rocks and enjoy the view. This turned out to be one of my favorite pictures from the day. The trail continued to snake up the mountain almost endlessly. For awhile, I wasn’t sure we would be able to reach the peak before sunset. I knew I would continue regardless though to reach the peak even if it was pitch dark. We however picked up the pace and reached the end of the well defined trail. We were finally not far from the peak. We could actually just barely see the people gathered at the top. We continued on our way for another 10 minutes until we finally reached the top. 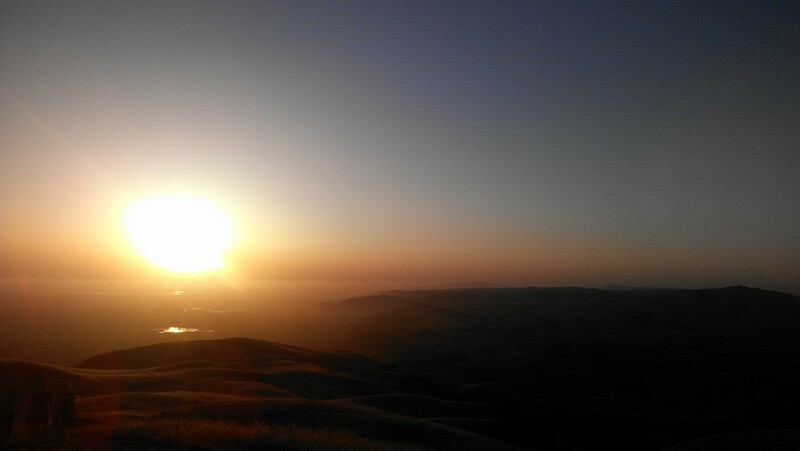 I must say the view from the top is absolutely stunning during sunset. My phone was unable to capture the true scale and view we had. Here’s some of the pictures I did take at the top though. 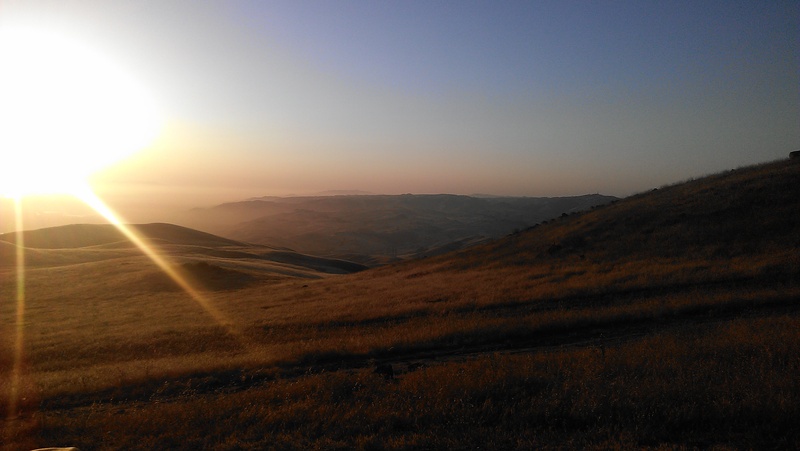 At the view top of the Mission Peak is a totem pole that people get a picture with to show they made it to the top. After waiting until the sun fell behind hills we finally decided to should start our hike down past the more technical part of the trail before it started getting really dark. It ended up taking us a little over two hours to walk up and only a single hour to walk down. 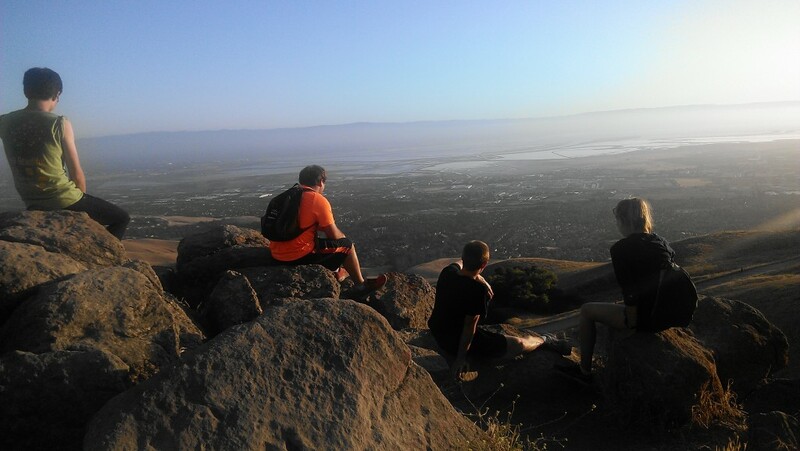 All in all, it was completely worth it and I would recommend the trail to anyone that is in the Bay Area. It is definitely one of the better hikes I’ve been on! 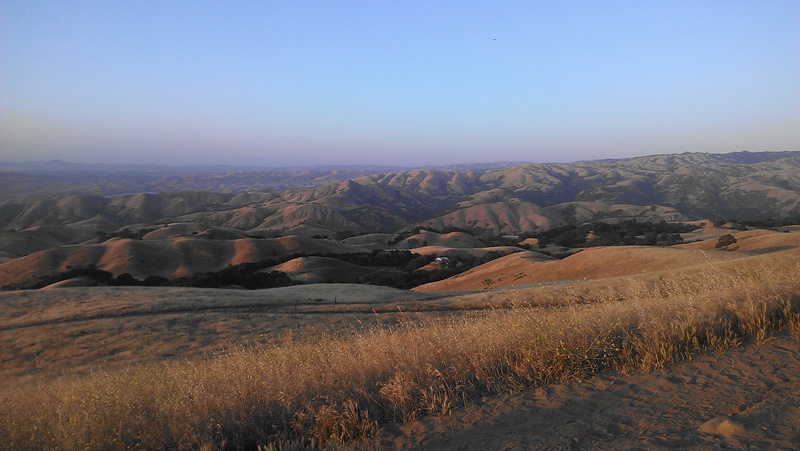 I’ve already started exploring what other hikes are around the Bay Area and found another mountain by the name of Mount Diablo. It supposedly has the second largest viewshed in the world! I will be taking pictures and documenting my experience up as usual. Until then, back to work!